We begin with our stories, always. Over the next six grueling years we begged God to redeem that trip to Corolla. He did this through the love of dear ones who watched our struggle and wanted to make some kind of respite happen for us in a place we longed for and needed to return to. The time away in May, 2015 solidified something in all of us. We were strangely tethered to this particular geography of sand and waves and horses living wild and free in the dunes. We felt like nothing could touch us there. Wounds that were continually opened by our never ending hard scabbed over in the salt water of the Atlantic. There were no doctor’s appointments. There were no collection calls or bills arriving in the mail. I had a wellness near the sea I could never grasp back at home. We didn’t speak much about the trip before leaving. Our plans have a way of tragically falling through. Those who knew said things like, “You guys deserve this.” I would squirm. I know and love too many without even a hope of a beach vacation. I never once thought it was anything but pure grace. The heart of this retreat began beating long before I knew I was carrying the dream. It was conceived in December, 2011 in a gorgeous home on the shores of Lake Cable in Canton, Ohio as I rested and recovered from my first Chiari brain decompression and cervical fusion. The wall of windows facing the water was a prism of healing light and heat. I spent ten weeks there. They were some of the longest and most painful days and nights of my life, but I knew the opportunity to mend in a beautiful and peaceful place was rare treasure. I wished I could give this same experience to other women. I imagined the empty bedrooms filled with sisters who needed to come away and rest. Just three months following my first neurosurgery, I returned to Maryland for a tethered spinal cord release. It was the beginning of many years of serious brain, spine and abdominal operations. Danica’s diagnoses uncovered the faulty DNA I’d passed on to her and led me to understand my own life of symptoms and suffering. During this time I blogged much of Danica and I’s story. I formed relationships online with others who were sick like us. Almost all of our care was away from home and required travel. An amazing community showed up. We met in hotel lobbies, doctor’s offices and surgical waiting rooms. We texted, messaged and called one another day or night. We became family. Last summer we found out Danica needed another scary brain and spine surgery. Once again someone close to us gave the hope of a trip to hold on to. We imagined ourselves sitting in the sun and surf having survived. It gave us something tangible to fight for and look forward to. In late May of this year we made it back to Corolla. The house we stayed in was not just a rental but someone’s real home. I moved through the rooms, and I thought of the girls I longed to invite to rest by the sea. Their names were circled over and over again in the “retreat” journal I’d been keeping for years. They are young women I’ve met in internet support groups, face to face waiting for appointments and scans and in hospital beds after surgery. I’ve encouraged and loved them through pen to paper, care packages and oh so much prayer. 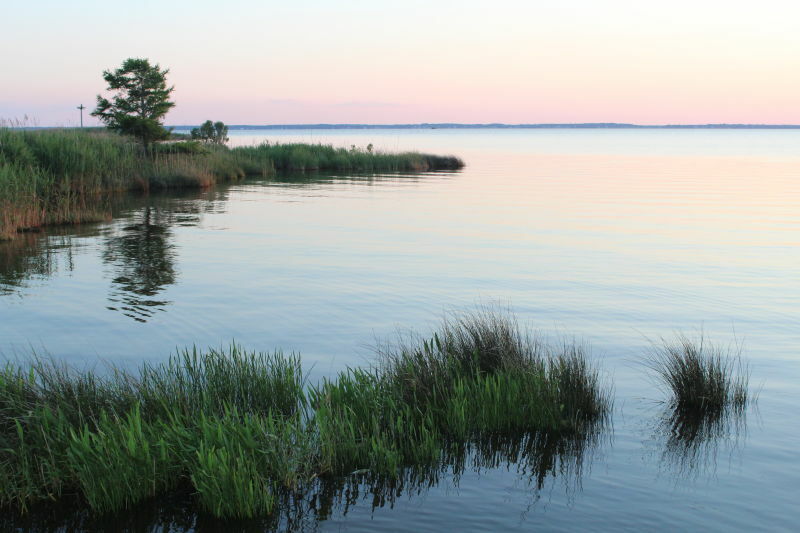 My husband Dan and I sat on the back deck watching the sun slip into the Currituck sound and talked about the dream to host zebra warriors there. I felt the pressure and fullness of time when one is to finally say “yes” to a calling birthed from the most passionate places of joy and pain. I knew my first leap of faith would be asking for donations to put a deposit on the place the retreat would happen and committing to dates. I found a big house with an elevator and other accessible features and sent a request to the rental company about availability for May, 2018. I explored forming my own non-profit that would offer my donors tax benefits. To do this well I would need board members, an attorney, and an accountant. I’ve always believed our family’s remaining medical debt needs to be paid before I form a foundation. As I sat in the chemo chair several weeks ago I wrote a blind email to Healing Hearts Respite Foundation, the only non profit respite house in the Outer Banks, and I asked. I asked if we could possibly use their smaller home as a place for some of the mothers to stay the week of the retreat. I asked if their mission was broad enough to allow donations to come through them for the house rental and other retreat expenses. I asked if I could know them and learn from them. Exceeding, abundant above all I could have asked was the answer. The founding director of Healing Hearts let me know they had a much larger home available in the same community as their respite house, and they would like to offer it for the retreat. We had several phone conversations that grew our excitement for the possibilities this retreat holds. I chose a date. I bought the URL for this website and created this place. Option EDS (the retreat) was born. Not to us, but to His name be glory. This post was written for “The Heart” of the retreat website several weeks ago. I’ve wanted to move slowly and prayerfully as I shared with trusted friends and family. There has been a whispered lie telling me I need to have my “problems” cleaned up before I can live my way into this purpose. Since bearing my soul earlier this week God has showed up in texts, emails, phone calls, the mailbox and on my porch. He’s reminded me the most beautiful gifts come through our utter dependence on Him. It is not in spite of but because of my painful providence He has called me to this work. Please join me in praying for this seed of a dream. Link over to the site. Follow us on social media. Stay tuned to the beautiful stories of the people behind this first retreat. I have much more to tell you about our host partner, Healing Hearts, and how you can help. Judge not the Lord by feeble sense. I am so excited for you all. Praying for this retreat and that God will bless you and all the many people involved. I love that hymn! Thanks for typing out all the words. It is so exciting to see this dream become a reality, Monica! With God’s help and so much love, I know this opportunity will be a blessing to all those who attend. Wonderful news! I pray you will all be rested and blessed. What a wonderful idea! Please let me know what i can do to help! God Bless!